Lena Mae Myles, age 73, passed away Thursday January 24, 2019 at Marion General Hospital with her loving family surrounding her. She was born on September 17, 1945 in Tallulah, Louisiana to the late William Myles and Ollie Mae (Brown) Myles. 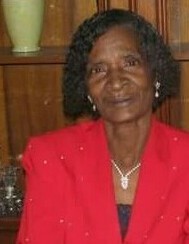 She is survived by her two daughters; Neatra Myles and D. Mishell Emmerson; sisters, Sophia Myles, Clara Carter and Dorothy Downing; grandchildren, Britney Jenkins, Dustin Myles, Tony Jenkins II, Raysheona Myles, Monahray Myles, and Ky Emmerson; great grandchildren, Raevon, Donte, Malik, Ella, Amelia, Mylena, Kendrick and Sandy, Bre'Sean, Willow, Braxton; special niece, Gladys Cochran and special nephew Ronnie Myles. Preceeding her in death include her parents Mr. and Mrs. William and Ollie Myles; daughter, Arlena (Sandy) Jenkins; sisters, Sofronia Johnson, Josephine Myles, Lavell Brown, Gloria Holloway; brothers, Mitchell Tyler, William Myles Jr., Jimmy Myles, Eddie Myles, Johnny Myles; great grandchildren; Tania Myles and Tamyra Jenkins. Calling hours will be held on Friday February 01, 2019 from 10 A.M. - 12 P.M. with a service to follow at Christ Missionary Baptist Church 394 Fairview St. Marion, OH 43302. Burial will follow at Marion Cemetery.